Please click on an image below to select a gift voucher by value. Multiples can be selected to create any value you may require. The code for your voucher will be sent to you by email and a glossy certificate will be dispatched in the post, inside a presentation envelope to an address of your choice. 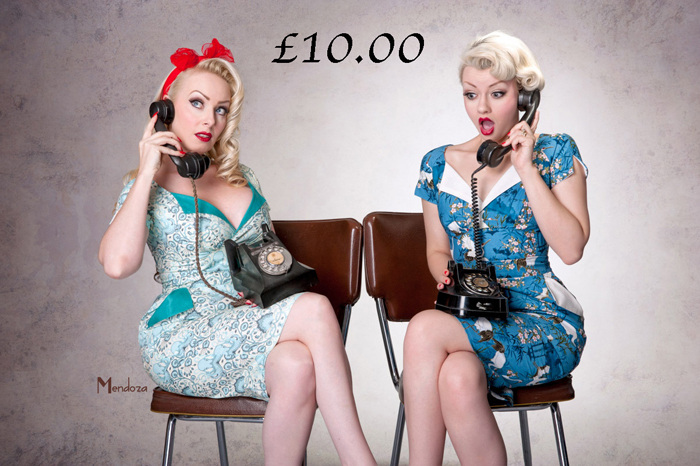 We are now offering a 10% discount to customers who send us a picture of themselves wearing one of our dresses.